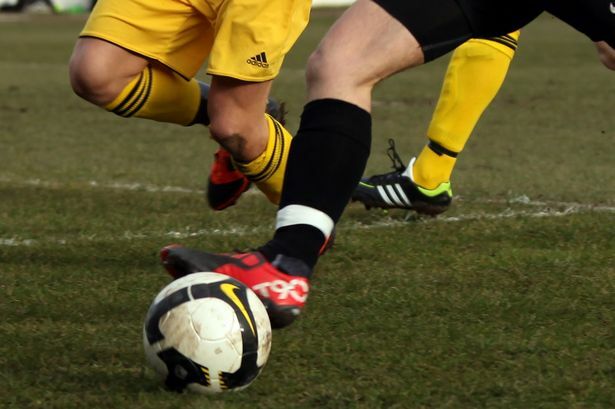 Gateshead Leam Rangers can see light at the end of the tunnel after winning for only the third time to move outside the bottom two, where they had languished for several weeks. Their latest success was particularly encouraging since Sunderland West End are in the top six. The Tynesiders though played well to clinch victory by the odd goal in five. Jamie Langfield and Taylor Hughes, with a brace, were Leam’s matchwinners while Tom Price and Alan Meagan (og) replied for the Wearsiders. Harton and Westoe crashed to an 8-0 defeat at second-top Stockton Town whose marksmen were Michael Dunwell, with a hat-trick, Stephen Roberts, Tom Coulthard, Chris Stockton, Carlton McCabe and Adam Nicholson. Stockton weren’t the biggest scorers of the day, however. Ashbrooke Belford House made it seven wins and a draw from the last eight games when they thumped Horden CW 10-3. Gordon and David Christie all celebrated. Chris Tarn (2) and Aidan Pace claimed consolation goals for the Colliers. Annfield Plain conceded five times to third-top Cleator Moor Celtic who in fact scored all six goals. Leigh Dunn (2), Tom Mahon, Andy Telfer and Bradley Rooney struck and so too did Craig Scott into his own net. Prudhoe Town were hit for six by visitors Redcar Athletic for whom Adam Preston was in magnificent form, scoring five times. James Swain (pen) was the visitors’ other scorer and Stephen Foster replied with Prudhoe’s only success. On a day when the 10 games produced 56 goals, leaders Ryhope CW managed only one from Jack Pounder but it was sufficient to see off a strong challenge from Hartlepool. Despite scoring first with a terrific 35-yard shot from Shaun Carroll, Boldon CA went out of the Wearside League Cup to Wolviston for whom Ben Bonner and Ian Denby netted.